Really cute! 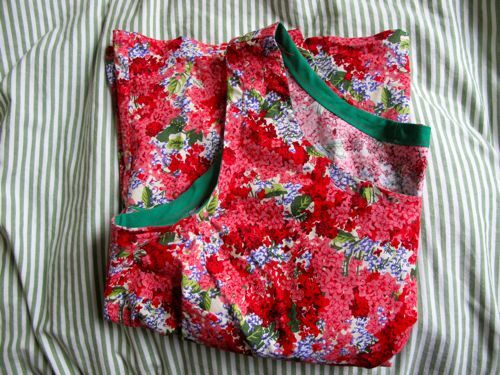 I love the fabric and it looks great under the cardigan. Cute top! I love it with your navy cardigan! It is really weirdly short – I had to add a few inches even though I have a really short torso! This looks lovely! 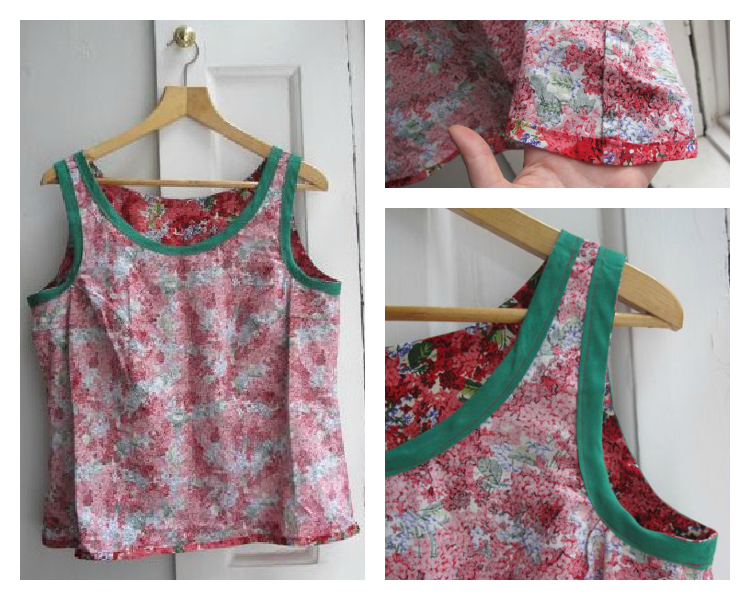 And peplum tops are totally in right now, so you’re right on the cutting edge of fashion! If you decide to alter it later, well that should be easy enough. I used to sew a lot in high school but never made anything good enough to wear around in public! Thanks Staci! 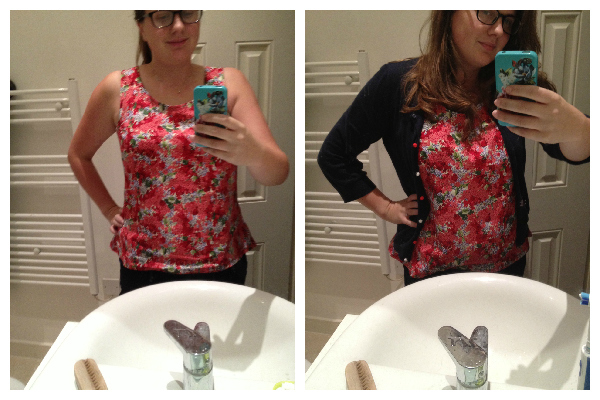 Unfortunately I’m not a fan of the peplum look on me…. oh well! Cute! I love that fabric! Glad that i’m not the only one who takes bathroom mirror photos sometimes! Ha! I used to wait until my partner could take some pictures, but then it never happened! I wish we had a big mirror somewhere else though…. It looks adorable! I really cant comment on any of the sewing information because, frankly, it is WAY over my head, but I can say that it looks adorable! I put that information there mainly for me! Feel free to ignore it (maybe I’ll do a cut next time).